Inner work is Hard work: Why do I need to change or transform? Aren’t I already perfect? Why do I need change or transform when I am already perfect? Can’t I just accept myself and be done with it? The answer is Yes! Of course you can. No one is forcing you to change or be different than you already are. 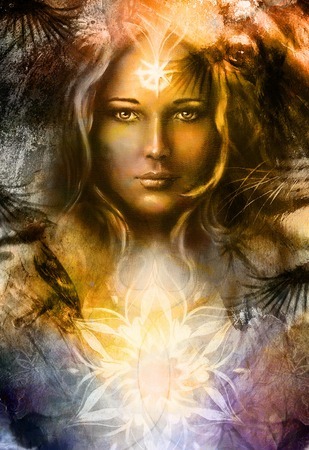 By the nature of your essence you are divine, perfect, enlightened and free. No one is stopping you from accepting this perfection of you… except for maybe yourself… hence the need for your inner work. Inner Work can feel like hard work. I sometimes hear people complain about how hard the process of change and transformation is; and it can feel like that for sure. We often create quite a bit of resistance between who we operate as on a daily basis and who we know our “bigger” self to be, and resistance is energy draining. The more we resist the amazing, beautiful, graceful, loving, kind, generous, perfect, divine being that we inherently are, the harder and more effortful our inner work will feel. Some of our resistance comes from beliefs we have about ourselves that are “hard-wired” in our nervous system. These hard-wired pathways are so pervasive that even if we try and think differently we end up resorting to the same old resistances and patterns. This is called neural programming. It is easier and takes less energy to do the same thing over and over. This is why our nervous system habituates and creates dominant pathways, so that we don’t have to think about everything all of the time. This can be beneficial and also requires our attention to continual monitor what works for us and what doesn’t work for us at any given moment. This is where most of us drop the ball. We get lazy, we fall “asleep” or go unconscious and live on automatic pilot. One of the best ways to come out of automatic pilot mode is through paying attention to your body. Your body is the storehouse of your unconscious. It is a gauge for what is happening in your mind and will tell you when something needs to change because it no longer fits for who you are. This can look like tension patterns, pain, and disease. These are simply indicators that something is out of alignment with the bigger parts of yourself. And what do most of us do when these things arise in our body? We try and get rid of these expressions instead of using the energy available in them to make change. So we feel tired and like inner work is a lot of work, because we are trying to create movement (change) without any fuel in the gas tank. The most pervasive and outdated pattern I have found in my own life and in my work with others, which brings the most resistance with it, is that we are not worthy of the grandness of who we “hope” that we are. We feel shame for getting what we want because we think it means someone else won’t get something or that we are taking from someone else. We feel grandiose or arrogant if we feel amazing about ourselves, and for some reason label that as bad. We fear we might not be accepted, fit in with others or be desired, so we will be alone and no one will love us if we love us. These are just a few expressions of how unworthiness can manifest in your life. All inner work as I see it, is to bridge the gap between who you really are (love, infinite worth, amazing, precious, rare) and who you believe yourself to be most of the time (undeserving, ordinary, no real gifts to contribute, un-valuable, can’t make a difference, small). So if you already live as infinite worth, and know your preciousness and value in every single moment, then yes you are done with your inner work. However, if there is still a gap for you, then there is even more that you can realize and embody about your true nature. This does not mean you are less than or imperfect now, because you are perfect, it simply means that you have yet to realize the fullness of your perfection and live as it. One of the missing links I find with people is that they have done lots of inner work through their mind but haven’t addressed their body. You must work through both. When tension patterns shift in your body that energy becomes available to you. How do tension patterns shift? Through your nervous system receiving new input that you can hold yourself differently in your body and through diving into your resistances. This is where the energy comes from to make change and where transformation becomes less effortful and more sustainable. Many approaches bypass or avoid the resistance, labelling it is as “negative” and uncomfortable, and come from the angle of “just think differently.” While this may work for some people, others will need more energy, momentum, and fuel to create the change they desire, especially when it has been a lifelong pattern. The approach I use to support people is called Network care. It works with you through your body to reprogram the dominant neural patterns to ones that serve you better now and makes available the energy to create change so you can live as the perfection you are. This entry was posted in Uncategorized and tagged alchemy, bodymind alchemy, boulder colorado, change, dr amanda hessel, embody, inner work, network care, network spinal analysis, neural reprogramming, pain, somatic psychotherapy, somato-respiratory integration, tension, transformation, transpersonal psychology. Bookmark the permalink.